New meditation group will meet each Tuesday evening! January 20th, 2015. The new meditation group will meet each Tuesday evening from 7:30 to approximately 9:00. Meditation will be held in the Temple’s Dharma Hall and led by a Bhikkhu (ordained Monk). 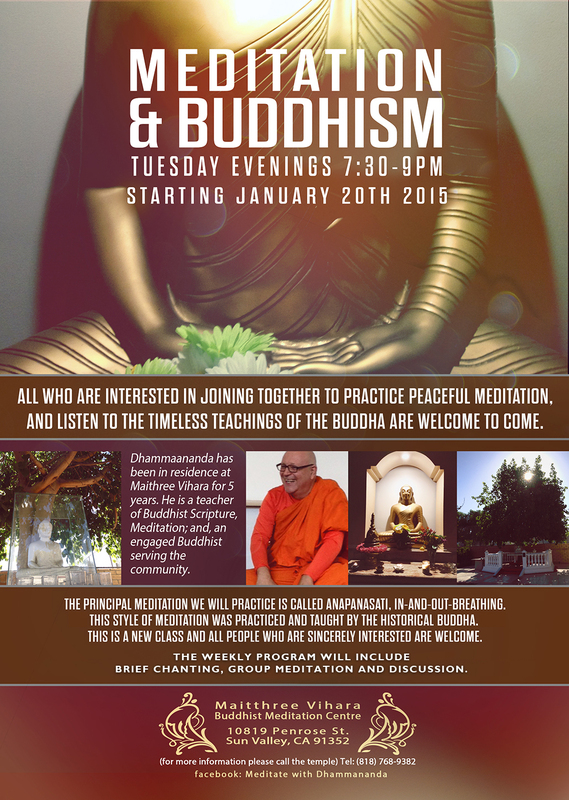 The class will also include a brief talk on Buddhism and discussion. Those sincerely interested in a meditation and spiritual practice are welcome.